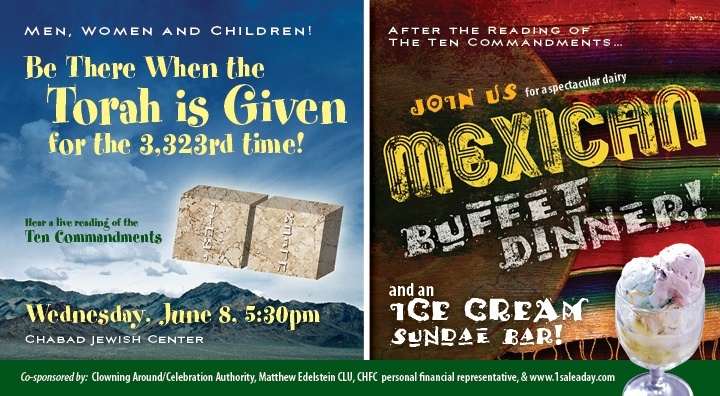 Join us for the Reading of the Ten Commandments as we celebrate the giving of the Torah, followed by a GRAND Mexican Dairy Taco Bar and Ice Cream Sundaes! Men, Women and Children are invited! Help us by making your RSVP today! To see our NEW Shavuot Holiday Guide, click here.